As the saying goes ‘a moment on the lips is a lifetime on the hips’, but you won’t need to worry when enjoying one of these scrumptious Skinnygirl cookie treats. The low-cal drinks company have created some fun cookie pairing recipes for their new wines. They may look sinful but there’s less sugar and less calories to worry about. Red Velvet Cookie Cups with Skinnygirl™ Prosecco Buttercream Frosting –This cookie cup recipe provides an updated twist on the popular red velvet. And buttercream frosting made with Skinnygirl™ Prosecco is the perfect ornament to dress up this treat. 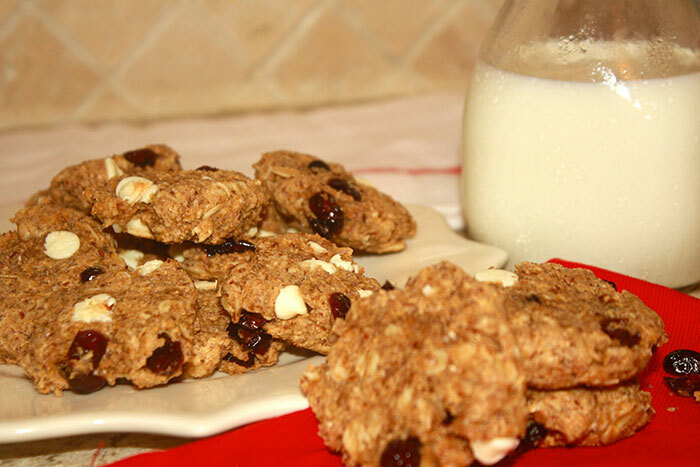 Cranberry White Chocolate Oatmeal Cookies – By swapping white sugar for turbinado sugar, this recipe calls for less sugar and less calories! Hold the milk – the touch of warm chocolate in Skinnygirl™ Cabernet Sauvignon provides the perfect cookie-beverage complement. 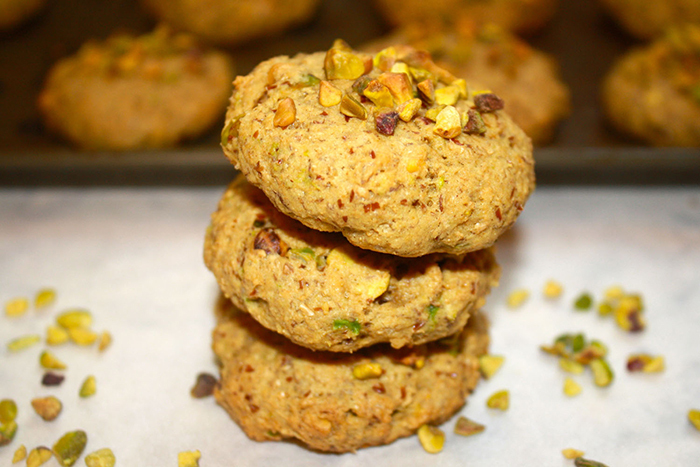 Pistachio Cookies –Greek yogurt and avocado replace butter and make for a lighter cookie. Pair this cookie with the crisp, rich fruit flavors of Skinnygirl™ Chardonnay. Preheat oven to 350 degrees. Spray 4 dozen mini muffin tins with baking spray or grease with coconut oil. In a large bowl, mix together sugars, maple syrup and coconut oil until blended. Add beets, cacao, vinegar, vanilla and salt. Stir to combine. Add flour and baking powder. Stir to combine again, being careful not to over mix. Fold in chocolate chips. Bake in preheated oven for 12-14 minutes until edges are light brown. Cool in pan for 10 minutes, then transfer to cooling rack. 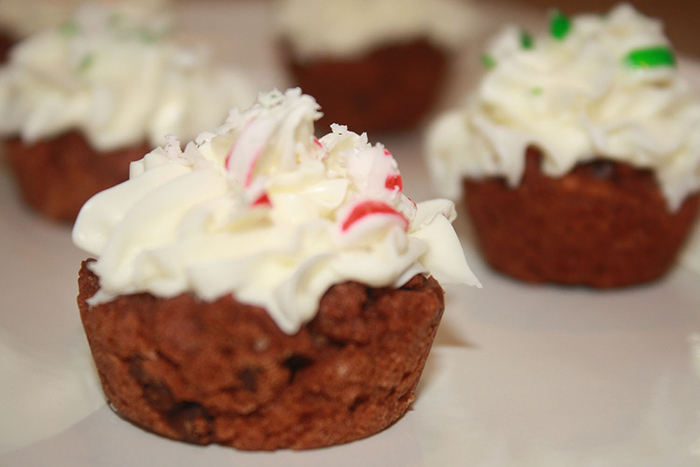 While cookies are cooling, mix all frosting ingredients together until smooth. Spread onto cooled cookie cups. 2. Whisk flour, flax or wheat germ, baking soda, salt, cinnamon, cardamom and ground ginger in a small bowl. Whisk egg, sugar, oil, applesauce and vanilla in a large bowl. 3. Add the dry ingredients to the wet ingredients; stir to combine. Add oats and stir again. Add chocolate, cranberries and macadamia nuts if using them; stir just to combine. Drop by rounded tablespoonfuls onto 2 ungreased baking sheets, 1 ½ inches apart. (FYI- dough will be thick). 4. Bake the cookies until puffed and barely golden around the edges, switching the pans back to front and top to bottom halfway through, 8 to 10 minutes. Cool on the pans for 2 minutes; transfer to a wire rack to cool completely. 2. In a medium bowl, combine the flours, flaxseed, baking powder, baking soda, salt, and cinnamon. Mix well and set aside. 3. In another medium bowl, cream the butter, avocado, and sugars together until smooth. Add the Greek yogurt, vanilla, and egg. Mix well. 4. Add the flour mixture 1 cup at a time to the Greek yogurt combination. Mix until combined; do not over-mix. 5. Fold in the pistachios. Drop by rounded teaspoonfuls onto an ungreased nonstick baking tray. 6. Bake for 12–15 minutes until the tops are golden brown. 7. Cool on the tray for 5 minutes before moving to a wire rack to cool completely.